The abuse of herbal drugs that can be found in the form of plants and weeds has been a human drug problem for centuries. No statistics are available about overdoses, brain damage or death from the past. However, it is well known that Indians in the Southwest have used hallucinogenics for a variety of rituals. British troops who were sent to Jamestown in 1676 were short of rations and cooked the foliage of a plant. The result of them eating Jimsonweed was described by Robert Beverly in his History And Present State Of Virginia (1705). “Whoever had eaten of the plant acted like ‘a natural fool’. The condition lasted for 11 days after which they returned to themselves again, not remembering anything that had passed.” Had the British troops not cooked the leaves, few could have survived, as the potent hallucinogens produced by the thorn apple plant are extremely toxic. Other species are known as Indian Apple or Sacred Datura (Datura meteloides). It is clear that “natural” does not mean harmless. Persons who abuse a hallucinogenic substance like datura will be in grave danger of accident or injury due to the wild hallucinations they experience. Death due to overdose is also a possibility. Of other plants that are abused because of their hallucinogenic effects, mushrooms are a source. Magic Mushrooms (psilocybe) are the commonly abused plant, which in their effect are likened to LSD. Complications are manifold. Some drug seekers pick mushrooms, what they assume to be “funny mushrooms”. Often a poisonous variety is ingested resulting in an emergency situation due to mushroom poisoning. People experimenting with the Fly Agaric (Amanita muscaria) risk death. The use of psilocybe can cause severe disturbances like extreme anxiety and paranoia. Users who had a “bad trip” remember feelings of aggression and violent outbursts. Episodes of confusion have been reported, where the intoxicated user lost his way and was found miles away from home. 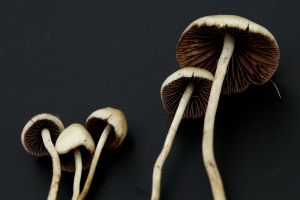 Frequently psilocybe has been mixed with other substances such as PCP (phencyclidine or Angel Dust) resulting in even more devastating effects. Damages to the nervous system due to PCP are irreversible and crippling. The chemical burn of the drug permanently destroys nerve cells. Patients present with chronic symptoms likened to schizophrenia. An early onset of Parkinson’s disease can also be observed eventually leading to premature disability and dementia. Hospital admission in a psychiatric unit and sedation may be needed for the confused, hallucinating patient who is a danger to others and himself. Any drug addiction treatment presents a challenge. If the admission has been involuntary, the patient will in all likelihood revert back to his drug seeking behavior. Successful addiction treatment is based on the patient’s motivation to seek help. The process of recovery can be expected to take months. A specialized multidisciplinary drug treatment center where the patient is removed from the drug scene can have a positive and life changing impact. Long-term follow up and support are a necessity. 1. Marx: Rosen’s Emergency Medicine: Concepts and Clinical Practice, 5th ed., Copyright © 2002 Mosby, Inc. , p. 185:”Abdominal pain”. 2. Ferri: Ferri’s Clinical Advisor: Instant Diagnosis and Treatment, 2004 ed., Copyright © 2004 Mosby, Inc.